For whatever reason, you’re not happy with the work your previous (or current) developer has done on your project. It’s not what you imagined your finalized product would look like and you’re now looking for a different group of developers (we hope us!) to help you finish what’s been started. But how do you hand your project over to a developer? 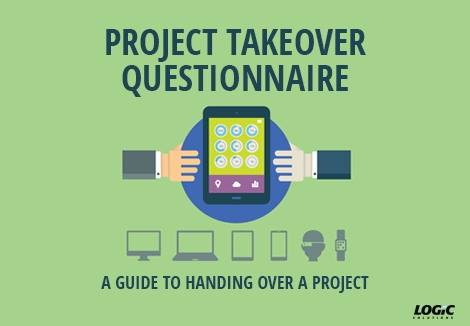 Our Project Takeover Questionnaire prepares you for your first meeting with the developer that is taking over your project. These questions will help them understand the scope of your project, establish a more concrete vision of your end goal, and assist you with achieving success. Your first meeting will be more productive with this checklist in hand! Is testing the site/application necessary? Are you concerned about the performance or vulnerability of your site/application? Do you have proper project documentation? Is the code well-written and formatted with comments? Please fill out the form on the right and see how the Project Takeover Questionnaire can help you finish your amazing project.